For all your website hosting needs! An in-depth review of the fastest web hosting companies in 2018. Find the best website hosting company to host your website, for increased performance and reliability. At a glance, what are the Fastest Web Hosts? Ok, some of you may be short on time, therefore not able to read this long article. However, we’ve featured the top voted choices for the fastest web hosting companies. Enjoy! Any webpreneur knows that performance is one of the most crucial aspects when it comes down to the nitty-gritty of web hosting. Increased responsiveness and speed ensures that your website guarantees quality performance, which is vital for both you and the clients. Aside from pleasing your customers, a fast web host is also critical for search engine optimization (SEO). I’ll explain. Most search engines prefer websites that take little time to load. As such, these sites can easily get a higher ranking in comparison to sluggish sites. This, as expected, results in better monetization from the extra flow of traffic. Besides, considering the sheer number of alternative sites ( similar to yours) that are available online, not many people will be willing to spend time waiting for your slow site to load. So, the bounce rate goes up, and the ranking of your website tanks. Simple. In fact, according to recent research, 20% of potential clients abandon most sites for every second spent loading the page. For most online businesses, that’s a lot of potential profit lost. It’s rather unfortunate that most people choose the cheapest web host with the logic that if it functions, it can’t be that bad not knowing that a slow website equals frustrated customers. But if the option you first selected for web hosting is slowing you down, then using a faster website host should help solve this problem. It’s that easy, really. The inception of a myriad of online businesses such as affiliate marketing and content creation, just to mention a few, has seen many people take to the internet to make a quick buck. In direct response to this, others have launched platforms offering services such as the one in this discussion, web hosting. Before reviewing the creme’ de la creme’ of site hosting titans, let’s first take a look at some of the factors to consider before choosing a web hosting company, or more specifically the fastest web hosting platform. A website’s launch speed is highly dependable on the geographical distance. As such finding a web hosting company that is close to you is of uttermost importance. While your visitors might not be all from the same location, those that are in proximity to your service provider will enjoy fast internet speeds and help boost your business further. Your web host is responsible for storing all the data that is sent through your website to its servers. The further away you are from your web host servers, the slower your website will load. Increase this distance to decrease latency. Contrary to popular belief, web optimization is a different field in its entirety compared to web hosting. While some companies might choose to offer either of these independently, others are successful by majoring in web optimization as well as integrating web-hosting ( as a side dish ) in their array of services. An optimized website guarantees fast loading speeds and less bandwidth used. Besides, you can lower your CPU usage percentages by optimizing your website, which prevents your computer from overheating from overclocking. Website optimization also guarantees better performance. Aside from just relying on your web hosting company, you can also optimize your site by caching, script or image compression, etc., just to mention a few. Not all web hosting companies offer the best plan. Even then, the best plan is not the one provided to you by the company you settle for but rather your own plan. Using too many resources on your website can make some web hosts throttle your site. Your site may then load slowly due to an inadequate hosting plan. As such, you are advised to upgrade to a higher tier, which goes a long way in increasing internet speeds on your website. There are several hosting plans, but VPS and dedicated plans are by-far better options compared to the more common shared hosting. Hosting your site on the right plan is an excellent way to improve its response time. Before getting to comparisons of the best web hosting companies, or the fastest website hosting companies, let us have a deeper look at each of these services and what they have to offer. inMotion hosting currently has multiple offers for most websites and is among the most reputable, fastest web hosting companies in the world currently. Last year, the company was ranked number one regarding transfers by webmasters thanks to over 27,000 compliments from customers last year. It also has 100% satisfaction guarantee, a feat which has made it climb the ranks despite the growing number of web hosting companies in the world. This company has five plans, Business hosting, VPS hosting, Dedicated Servers, Reseller Hosting, and WordPress hosting. Business hosting caters for most businesses and has a monthly charge of $2.95 while VPS hosting takes care of moderate web traffic and high-growth businesses for $24.99 every month. These two plans are ideal for new businesses, but if you represent a bigger organization, then your best plan is dedicated servers. This plan is perfect for big sites with high traffic and root access and costs $99.99 every month. Reseller hosting will cost you $13.99 every month and will help you build a web hosting business thanks to its ability to support unlimited sites. The last plan, WordPress hosting, is similar to Business Hosting concerning the monthly fee, $2.95 but it only caters for WordPress, performance, and security. inMotion also has the highest service rating A+ from the Better Business Bureau and are have been among the favorite web hosting companies for 14 years. The U.S-based company is easy to set up, operates from secure servers and uses state-of-the-art features such as PHP 7 and solid-state drivers to increase loading speeds and performance. Webhosting Hub popularly known as Hub is a web hosting company based in the US. As such you can expect 24-hour support if your location is America. Unlike its counterpart above which is awash with hosting plans, Hub only has three with the most common being the Spark, which goes for $3.99. For this plan, you get unlimited email accounts and storage, unlimited storage and bandwidth, advertising credits, backups, and a 100% money back guarantee. The other plans are Nitro and Dynamo, which command a monthly fee of $5.99 and $7.99 respectively. They also offer the same perks as the Spark plan with more allowances such as countless websites and broader advertising cover just to mention a few. Hub is easy to set up, has a drag and drop website builder, can sell more with E-commerce, and guarantees faster website speeds. Currently, eHost has directed all its clients to its partner brands to better their experience when using this site. As such, they have slashed their prices for the regular package by over 60% to $1.99 a month. Usually, this plan goes for $2.75 and is among the most affordable plans for any elite web hosting company. 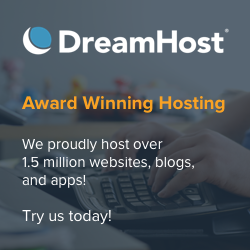 eHost offers its clients free domain names, marketing tools, and email addresses as well as unlimited domains, thousands of templates, and a drag and drop site builder. It is also considered one of the biggest web hosting companies seeing it serves over a million sites. HostGator is yet another hosting company at the top level with a broad range of offers and features. Aside from the usual 24-hour technical support, this company also offers email marketing and guarantees 99.9% uptime. It also features 0ne-click script installs and has an easy to use control panel. You can acquire this site’s services starting with a monthly fee of $4.86. Its plans include Cloud Hosting, which goes for $4.95 per month and features twice the speed of most web hosts and intuitive dashboard as well as WordPress hosting, which has a monthly fee of $5.95. Other plans include VPS hosting and Dedicated Hosting, which have a monthly fee of $19.95 and $89.00. The reason this web hosting company is up there with the best can be partly traced back to these affordable plans and also because of an easy and quick set up mechanization. Not to mention, it also allows for client transfers from previous web hosts. Lastly, it has a 45-day guarantee and has won numerous industry awards since its inception back in 2002. The last web hosting company in our top five list is high powered and highly revered by its clients. With some of the best plans and better rates compared to most of its counterparts, the reason for this love is evident. A2 hosting is open 24 hours a day for queries and even has a live chat feature meant to bring the company close to its clients. Some of its plans include the $3.92 per month shared hosting, which helps host your personal site or blog such as WordPress or Drupal just to mention a few. A2 Hosting also offers reseller hosting at $13.19 per month, which can help you host your own customers by setting up individual accounts. The company also has a VPS hosting plan that costs $5.00 per month and offers more power than shared hosting. The last plan, dedicated hosting, is the most expensive commanding a monthly fee of $99.59. However, it offers complete isolation and is best suited for intensive business needs. With this plan, you can also customize your server’s resources and choose the management level that works best for your site. While we might have assessed each of the five top-rated web hosting companies by listing their features and plans, other factors help separate them from each other. These distinguishing factors are what will help us determine the best of them all, or at least help you narrow down your options. Aside from the features mentioned in the category above meant to help you choose the best web hosting company, there are additional factors to consider. These include the average speed and downtime and the starting monthly fee. New research shows surprising performance data regarding some of the most common web hosting companies. Last year had a different list of web hosting companies, and while some have fallen off the market, others have improved host speeds, and others have joined the elite group of the best web hosts in the world. Network infrastructure and hardware upgrades have made it possible for these new contenders to make a mark for themselves in this expansive list, which features 14 of the best web hosting companies around the globe. The five web hosts discussed earlier are also part of this list and are exceptionally fast compared to their counterparts. Below is a graph showing the average page load speed for each web host service in milliseconds. The shorter the bar, the faster the web host service. While the five companies discussed in this article top the list vis-à-vis the speed, it is vital to note that individual hosting plans also have a part to play. The web hosting services listed above show their speed when using shared hosting plans. Different plans for each service and various performance levels, price, and features show that the best web hosting service is not arrived at by simply looking at the speed. Considering that speed alone won’t cut it when looking for the best web hosting service, we analyzed the service providers in the graph above regarding their price in comparison to their speed. Below is a chart showing our findings using the monthly introductory plan pricing. Comparing the speed to the price of each web hosting service gives a better perspective regarding their value. While one web host might be faster, its charges might be higher and vice versa. As mentioned earlier, downtime is a vital factor to consider when choosing a web host. A fast web host is meaningless if it’s not reliable. A study conducted revealed the different uptime and downtime for each host despite the fact that downtime can differ from client to client even when both are on the same web hosting service. Here is a graph showing the average downtime per month for the best web hosts in minutes. It is important to note that since the downtime may vary for every client, the figures shown are an average of what to expect. So, what other factors contribute to your website hosting plan performance. Other factors can contribute to making a web host the fastest. These are pointers such as premium hardware and infrastructure. If the web host service you opt for has a powerful CPU and lots of RAM, you can be sure that your website’s performance will receive a significant boost. But even then, you may be required to purchase a dedicated hosting plan or upgrade to VPS. It is somewhat surprising that most shared hosting plans/companies do not reveal this information. 2UWebHosting Company | Theme: News Portal by Mystery Themes.